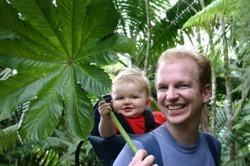 Bird Watching in St.lucia: is about wild birds and the sport of birding in saint lucia. It's for everyone who's interested in bird watching and enjoying nature. St. Lucia is a lush exotic island where the tropical jungle collides seamlessly with the ocean. The island's rainforest is home to many colorful birds, which can be seen and heard throughout the area. St. Lucia is a relatively unknown island, and quite small. It is only 27 miles long and 14 miles wide. The Atlantic sits to the west and the Caribbean Sea lies to the east. Open air markets, tiny villages, and scenic vegetation are abundant. The natives are very warm and friendly, while the local cuisine is spectacular. The fried plantains are especially delicious. Trees are blooming with fruits and the views on this island are amazing. The reefs are ideal for pristine snorkeling and scuba diving, while the peaks are great for rainforest hiking and exploration. There are twin peaks, The Pitons, standing above 2,000 feet. The inland mountains are also perfect for bird watching. Some endangered species are indigenous to the island. There are many wonderful tourist amenities such as golf courses and tennis courts, and the outdoor activities are a main attraction for this island. It does tend to rain a lot during the rainy season, from June to November. Since I did not endeavor to significantly research the climate of the island before my arrival it rained all week, but besides the rain the island was amazing! The entire island of St. Lucia is an estuary for bird watching. I was pretty much all over the island, all the plantations, natural attractions, rainforests was a home to many birds native to the island. I advice all travellers to bring along their binoculors as this is one activity one should not miss out on. If you are interested in Bird Watching in St. Lucia, we offer you a great opportunity to observe many kinds of birds in their natural habitat, the forest.The Millet trail is best known for its bird watching. Over thirty species of birds can be found there, including five endemic species: the St. Lucia Parrot which you are most likely to see (if you are early enough), St. Lucia Black Finch, St. Lucia Oriole, St. Lucia Pewee and St. Lucia Warbler. Found only in St. Lucia and nowhere else in the world. Trained tour guides will be at your service. A minimum of 4 hours is guaranteed to maximize your opportunity to see endemic birds. 24 hours advanced booking is required. About 42-46 cm (16.5-18 inches) in length. 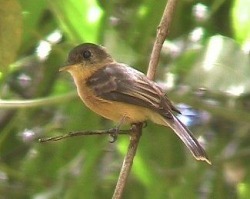 It inhabits the rainforest in the mountains of St. Lucia. It feeds in the forest canopy on a wide variety of fruits, seeds and flowers. The parrot nests in the cavities of tall trees. 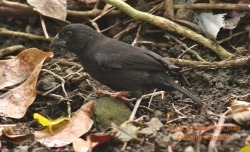 The Black Finch is about 13-14 cm in length. It is found in both moist and dry forest areas. It forages in the leaf litter in dense understory. The finch usually nests in a spherical nest of twigs built in a low shrub or palm about 2 m above ground. The adult pewee grows to about 15 cm in length. It is quite common and resides mostly in moist forest, but also found in dry forest areas. It perches low and sallies for insects. The pewee nests in a cup-shaped nest made of leaves and moss placed on a branch. The adult oriole grows to about 22 cm in length. It is found in woodlands including dry and moist forest. It is uncommon and perhaps becoming scarcer. It feeds on insects, fruits, flowers and nectar. The oriole builds a nest under a leaf or palm well above the ground.